JUSTINE Brownlee and Barangay Ginebra will find one familiar face back for the PBA Governors Cup and raring to deny the Kings a title repeat in the season-ending meet. 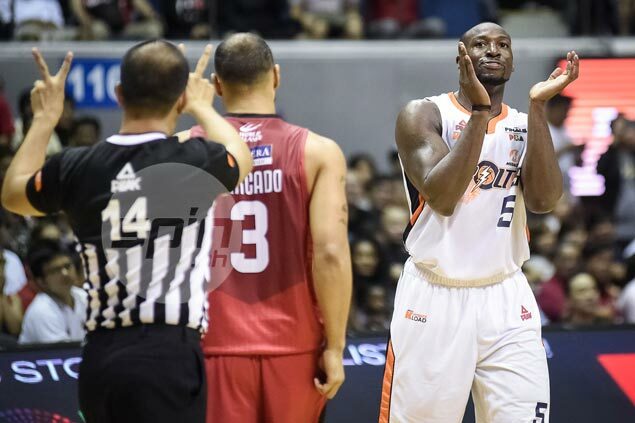 Allen Durham is headed back for another tour of duty for Meralco, hoping to complete the unfinished business he had last year when the Bolts came short of winning their first league championship. Last year’s Best Import is arriving in the country on July 4, coach Norman Black confirmed to SPIN.ph, or at least two weeks before the final conference of the season kicks off. The 28-year-old native of Wyoming, Michigan, guided the Bolts to their first-ever PBA finals appearance, but fell short of the goal after the Kings beat them in Game 6 of the finals best remembered for Brownlee’s game-winning three-pointer at the buzzer. Brownlee and Durham are among the veteran imports making a comeback here along with Alaska’s LaDontae Henton and Eugene Phelps of Phoenix. Meanwhile, Rain or Shine will have for its import JD Weatherspoon, who is flying over this Sunday. The 24-year-old Weatherspoon saw action with Baerum Basket in the BLNO in Norway. He also played in the Korisliliga in Finland. Also tapping new faces for the next conference are Blackwater (Trevis Simpson), TnT Katropa (Michael Craig), Jabril Trawick (Globalport), and Aaron Fuller (NLEX).